There is nothing better than watching one of your girlfriends find the right guy, and get engaged. She lights up with joy and excitement, and you cant get the smile off of her face! Mindy, who has been a close friend of mine since our freshman year of high school, is less than 2 months away from her big day! I cant wait to watch her tie the knot with Mike! I am honored to be both her Matron of Honor, as well as her Wedding Coordinator. I just want everything to be perfect for her! 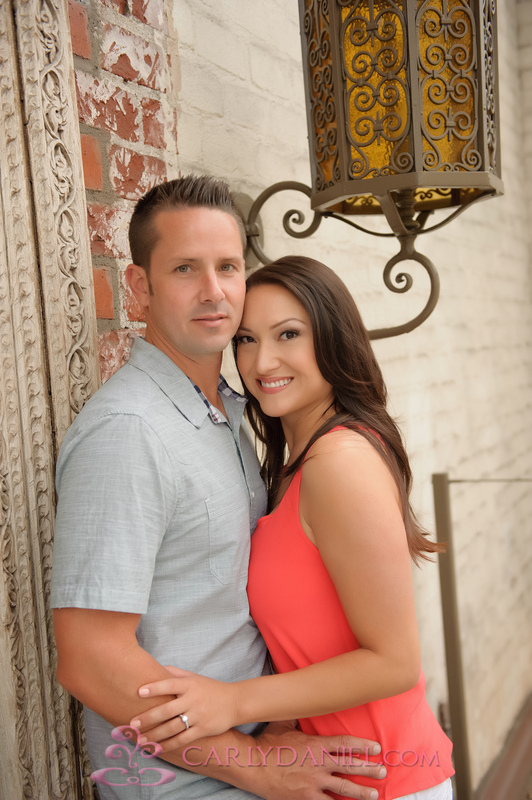 Mindy and Mike are such a great couple! 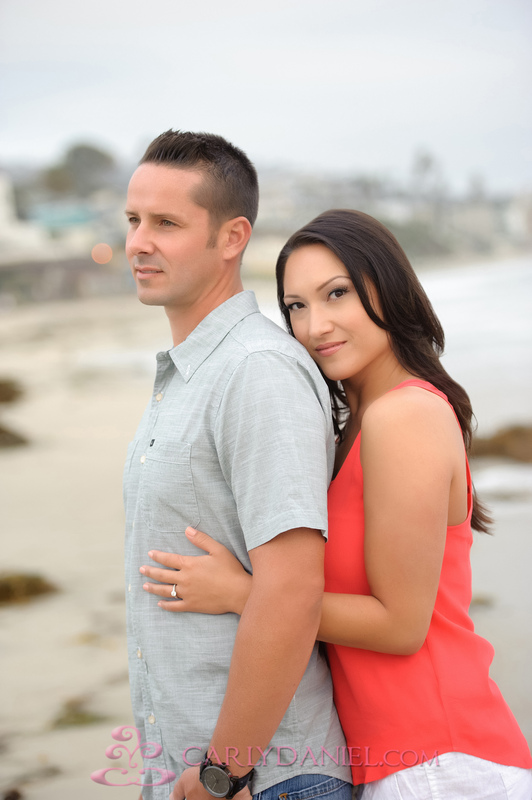 They will be getting married on September 15th at St. Simon & Jude Church in Huntington Beach, with a Reception to follow at the beautiful Newport Beach Fairmont Hotel. Coral, white and champagne colors will decorate the space, and Mindy’s dress is sure to be a showstopper. Take a look at a few of their engagement shots done by the amazing Carly Daniel (www.carlydaniel.com). It’s hard for me to pick my favorite! Such a great looking couple! Min and Mike, the big day will be here before you know it! It’s been such a pleasure working with you on the details, and I cant wait to toast with you at the wedding! Brian and I love you both, and are so, so happy for you! Previous Post 6/30/2012: mintra and long’s wedding day! Next Post 6/16/2012: summer and shant’s wedding day!